For other people named David Weir, see David Weir (disambiguation). David Gillespie Weir (born 10 May 1970) is a Scottish former footballer and who is currently assistant manager of Scottish Premiership club Rangers. He has made 392 appearances in the Scottish Premier League and Scottish Football League, including 143 for Rangers. Born in Falkirk, Scotland, Weir began his professional career with his home-town club, Falkirk, after having attended the University of Evansville in the United States. After four seasons with the Bairns, Weir then moved on to Heart of Midlothian where he won the 1998 Scottish Cup. He joined Everton in 1999 and spent seven years with the club, becoming club captain under two different managers. Weir then moved to Rangers in 2007 and became club captain after Barry Ferguson was stripped of the role in April 2009. Weir called time on his playing career in May 2012. Weir won his first cap for the Scotland national football team in 1997 and was selected for their 1998 FIFA World Cup squad. He retired from international football in 2002, when Berti Vogts was the manager, but returned when Walter Smith took charge. Weir became the oldest Scotland player when he played in UEFA Euro 2012 qualifying matches in 2010. He finished his international career with 69 caps, which makes him the seventh-most capped player. Weir was scouted by the University of Evansville during a schools festival in Grantham, Lincolnshire. He moved to the United States on a scholarship from 1988 to 1991. Whilst in Evansville, he was converted from a centre back to a striker due to his lack of pace. Weir excelled in this position, scoring 28 goals in 27 matches during his final senior year. This form lead to him being named an NCAA All-American and Midwest Collegiate Conference Player of the Year in 1990. Weir is tied for the school record with 50 career goals and ranks second in school history with 129 career points. Upon returning from the United States, Weir trained with Celtic however he did not sign a professional contract. In 1992, he joined then Scottish First Division side Falkirk and went on to make 134 appearances for the club and score eight goals. He was part of the side which won promotion to the Scottish Premier Division. Weir also won the 1993 Scottish Challenge Cup on 12 December, playing in the side that defeated St Mirren 3–0 at Fir Park in Motherwell. On 30 June 1996, Weir moved to Premier Division side Heart of Midlothian. He made his debut for the club in a League Cup match against Stenhousemuir on 14 August 1996 and scored his first goal three days later. Weir netted Hearts second goal in a 3–2 win over Kilmarnock. His first sending off was in an infamous game against Rangers at Ibrox on 14 September 1996. Rangers won the match 3–0 but Hearts had four players ordered off in a twenty-minute spell. Weir won his second career honour, the 1998 Scottish Cup, by beating Rangers 2–1 in the final at Celtic Park. He left Tynecastle midway through the following season when he was purchased by Everton for £250,000. Weir played 116 games in all for Hearts and scored twelve goals. Weir joined Everton on 16 February 1999 and made his debut in a league match against Middlesbrough the next day as Everton won 5-0, coming on as a substitute for John Oster after 73 minutes. Weir scored his first goal for Everton in a 3-1 win over Manchester United on 8 April 2001. At the end of the 2001/02 season, Weir was voted Everton's Player of the Year by planetfootball's readers, with Weir the only player to reach four figures in terms of votes. In the Merseyside derby match on 19 April 2003, Weir received his first red card for the club as Everton lost 2-1 and played with 9 men after Gary Naysmith was also sent off. He had a very successful time with the Merseyside club, playing regularly for eight years, making 269 appearances (scoring 10 goals in the process), playing in European competition, becoming club captain under two different managers – Walter Smith and David Moyes – and winning the bulk of his Scotland caps on the strength of his performances for the Toffees. During the 2005-06 season, his side played in UEFA Champions League but lost 4-2 on aggregate to Spanish side Villarreal CF in the Third qualifying round. After being eliminated in the Champions League, Everton played in the UEFA Cup but lost again, this time to Romanian side Dinamo București 5-2 on aggregrate in the First Round of UEFA Cup. On 16 January 2007, Weir signed for Rangers on an initial six-month deal after Everton released him from his contract early. He teamed up again with former manager Walter Smith. He made his Rangers debut against Dunfermline Athletic on 21 January 2007. His performances for the Glasgow club were enough to secure a one-year contract. After his man-of-the-match performance against St Mirren on 8 April 2007, he revealed that he may remain at Rangers for the 2007–08 season after discussing the issue with his family. His agent met with Rangers on 19 April to discuss a possible extension to his contract, which was due to expire at the end of that season. Weir signed a one-year extension to his deal, keeping him at Rangers until the summer of 2008. He scored his first Rangers goal against FK Zeta in a UEFA Champions League qualifier, on 31 July 2007. Weir was highly praised for his endurance during the 2007–08 season as Rangers chased The Quadruple. Despite being in his late 30s, he managed sixty appearances that season and produced some outstanding performances alongside Carlos Cuéllar in the centre of defence. Weir won his third and fourth trophies of his career in 2008, as Rangers claimed Scottish Cup and League Cup glory. On 3 July he signed a further one-year contract extension to his deal. He was appointed Rangers' captain on 3 April 2009 after Barry Ferguson had been stripped the role following an incident whilst on international duty. Weir won the League and Cup double in season 2008–09 with Rangers and signed a further one-year contract extension which saw playing into his forties. In March 2010, Weir won the Player of the month award for February and followed this up with the Clydesdale Bank Premier League Player of the Year award for the 2009-10 season. On 7 May 2010 it was announced Weir had also won the Scottish Football Writers' Association Footballer of the Year Award, the oldest player ever to receive this accolade - just three days before his 40th birthday. Soon afterwards, Weir agreed another one-year contract which saw him play on into his forties. He became the third oldest player ever to compete in the UEFA Champions League on 14 September 2010 in Rangers' 0-0 away draw with Manchester United at Old Trafford and he became the joint oldest outfield player in Champions League history when he played against Bursaspor in December 2010, aged 40 years 211 days. Weir captured his third league title with Rangers as captain on the week of his 41st birthday when Rangers defeated Kilmarnock 5-1 on the last day of the season beating Cetlic to the title by a single point. On 26 May 2011, it was announced that Weir was to be inducted into the Rangers F.C. Hall of Fame. He has become the first ever player to be inducted into the Hall of Fame whilst under contract at the club. On 17 July 2011, Weir signed a new one-year deal with Rangers. Following Walter Smith's retirement as manager, Ally McCoist succeeded him. Under McCoist, Weir did not play in the League, and he was replaced as captain by Steven Davis. Weir made his last appearance in the Champions' League Third qualifying round 1st leg against Swedish side Malmö FF. Weir played for 29 minutes, before being replaced by Juan Manuel Ortiz. On 17 January 2012, he announced that he would be leaving Rangers in order to continue his career at an unnamed club in England. The club he was close to signing for was Sheffield United and he trained with the Blades for several weeks, however he moved into coaching instead. In February 2012, Weir returned to Everton in a coaching capacity with the club's academy and reserve teams. He made his reserve-team debut for the club against Liverpool on the day of his return. When manager David Moyes left the club to replace Sir Alex Ferguson at Manchester United in May 2013, Weir was interviewed by Bill Kenwright for the vacant role at Everton, but the job instead went to Roberto Martínez. In June 2013, Weir signed a three-year deal to manage League One side Sheffield United. Despite winning his first competitive game in charge, a 2–1 victory over Notts County, United struggled under his management and failed to win any of their following twelve matches, leading to growing pressure from the club's fans for Weir to be sacked. After United were beaten at home by League Two side Hartlepool United, eliminating them from the Football League Trophy, Weir was sacked on 11 October 2013. Following the departure of caretaker Alan Kernaghan, Weir was appointed as Mark Warburton's assistant manager at League One side Brentford on 16 December 2013. After a successful season which saw Brentford promoted to the Championship, Weir signed a new one-year rolling contract to remain with the Griffin Park club. On 17 February 2015, it was announced that Weir, Warburton and Sporting Director Frank McParland would leave Brentford at the end of the 2014–15 season. On 15 June 2015, Weir returned to Rangers as Assistant Manager to Mark Warburton on a three-year deal. On 12 July 2016, Weir and manager Mark Warburton extended their contracts with Rangers by a further year. Weir earned his first cap for Scotland in a 1–0 defeat to Wales on 27 May 1997. He scored his one and only goal for Scotland in a World Cup qualifier against Latvia at Hampden Park on 6 October 2001. Although he retired from international football in 2002, after receiving criticism from the then-manager Berti Vogts due to his performance in Scotland's Euro 2004 qualifying match against the Faroe Islands, he returned to international football when Walter Smith was appointed as manager in December 2004. Weir is a member of the Scotland national football team roll of honour, having won his 50th Scotland cap against Lithuania on 6 September 2006, in which he captained his country to a 2–1 win. He has captained Scotland four times. On 24 August 2010, Weir was recalled to the Scotland squad at the age of 40 for the Euro 2012 qualifying matches against Lithuania and Liechtenstein in September 2010. Weir became the oldest ever Scottish football international when he played against Lithuania on 3 September 2010, aged 40 years and 116 days, breaking Jim Leighton's previous record of 40 years and 78 days. As of 11 October 2013. ↑ Hugman, Barry J., ed. (2007). The PFA Footballers' Who's Who 2007–08. Mainstream Publishing. p. 427. ISBN 978-1-84596-246-3. 1 2 3 4 "How Davie Weir wowed the Yanks". News of the World. 4 April 2010. ↑ "International Roll of Honour". Scottish Football Association. Retrieved 17 June 2009. 1 2 "Former UE Soccer Standout Weir Helps Brentford to Promotion". ↑ McKinney, David (13 December 1993). "Football: Falkirk find their fire". The Independent. London. Retrieved 21 March 2015. ↑ "Rangers 3 (1) – 0 (0) Hearts". Soccerbase. Retrieved 14 September 2012. ↑ McKinney, David (16 September 1996). "Hearts face inquiry into Ibrox fracas". London: Independent. Retrieved 16 September 2010. ↑ "Weir flies south". BBC Sport. 16 February 1999. ↑ "King David". Sky Sports. 10 May 2002. Retrieved 5 June 2013. ↑ "Weir completes switch to Rangers". BBC Sport. 16 January 2007. ↑ "Dunfermline 0–1 Rangers". BBC Sport. 21 January 2007. ↑ "Weir signs one-year deal at Ibrox". BBC Sport. 20 April 2007. ↑ Moffat, Colin (31 July 2007). "Rangers 2–0 FK Zeta". BBC Sport. ↑ "Veteran duo seal new Ibrox deals". BBC Sport. 3 July 2008. ↑ "Weir poised for new Rangers deal". BBC Sport. 1 June 2009. ↑ "Weir not pondering his retirement". BBC Sport. 4 July 2009. 1 2 "Rangers' Weir wins February award". BBC Sport. 8 March 2010. 1 2 "Rangers duo win Clydesdale manager and player awards". BBC Sport. 19 April 2010. 1 2 "Rangers captain David Weir wins writers' award". BBC Sport. 7 May 2010. ↑ "David Weir agrees new Rangers contract". BBC Sport. 30 June 2010. Retrieved 22 September 2011. ↑ Pattullo, Alan (7 December 2010). "David Weir joins lofty company as oldest player to grace Champions League". The Scotsman. Retrieved 22 February 2011. ↑ "Weir Revels in Hall of Fame Honour". Sporting Life. Retrieved 31 August 2011. ↑ "Rangers captain David Weir signs one-year deal at Ibrox". BBC Sport. 17 July 2011. Retrieved 11 August 2011. ↑ "David Weir poised for job as Sheffield United boss". BBC Sport. 9 June 2013. Retrieved 10 June 2013. ↑ "Weir Back With Blues". Everton F.C. 21 February 2012. Retrieved 21 February 2012. ↑ Hunter, Andy (5 June 2013). "Roberto Martínez set for second interview for Everton manager's job". London: The Guardian. Retrieved 5 June 2013. ↑ "David Weir: Sheffield United appoint Everton coach as boss". BBC Sport. 10 June 2013. Retrieved 10 June 2013. ↑ "David Weir is appointed new Sheffield United manager on three-year deal". London: The Guardian. 10 June 2013. Retrieved 10 June 2013. ↑ "Why Weir is still loving life at the Lane". The Sheffield Star. 28 September 2013. Retrieved 29 September 2013. ↑ "Manager Weir departs as Blades Boss". Sheffield United F.C. 11 October 2013. Retrieved 11 October 2013. ↑ "Brentford: David Weir joins as Kernaghan and Farrell leave". BBC Sport. BBC. 16 December 2013. Retrieved 16 December 2013. ↑ Murtagh, Jacob (26 June 2014). "Brentford manager agrees new contract". ↑ "Brentford FC club statement 17.02.2015". Brentford FC. ↑ "Warburton Appointed Manager". Rangers. rangers.co.uk. 15 June 2015. Retrieved 15 June 2015. ↑ "Rangers: Mark Warburton completes contract extension". BBC Sport. BBC. 12 July 2016. Retrieved 18 November 2016. ↑ "Scotland v Wales". Scottish FA. 14 November 2007. ↑ "Scots out with a whimper". BBC Sport. 6 October 2001. Retrieved 21 September 2011. ↑ "Lucky Scots scrape draw in Faroes". BBC Sport. 7 September 2002. ↑ "Weir: I was right to quit Scotland". Scotsman. 27 November 2002. ↑ "Lithuania v Scotland". Scottish FA. 14 November 2007. ↑ "Lithuania vs Scotland Match Report". Scottish FA. Retrieved 31 August 2011. ↑ "Scotland vs Faroe Islands Match Report". Scottish FA. Retrieved 31 August 2011. ↑ "Japan vs Scotland Match Report". Scottish FA. Retrieved 31 August 2011. 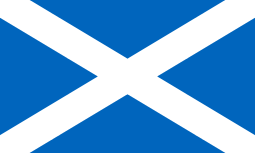 ↑ "Bulgaria vs Scotland Match Report". Scottish FA. Retrieved 31 August 2011. ↑ "Scotland recall for 40-year-old Weir". ESPN Soccernet. 24 August 2010. 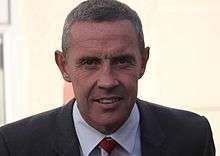 ↑ "David Weir set for Scotland milestone". BBC Sport. 3 September 2010. ↑ "Lithuania v Scotland Match facts". London: The Guardian. 3 September 2010.